VW has its eyes on the BMW X6 for a slant-roofed crossover. Whether you think that&apos;s a good idea or not, we&apos;d expect the finished product to look pretty striking, taking cues from the Cross Coupe concept which VW presented at the 2011 Tokyo Auto Show. According to German publication AutoBild, Volkswagen has yet to officially green-light the Touareg CC project, but development is likely underway in anticipation of its approval for production. 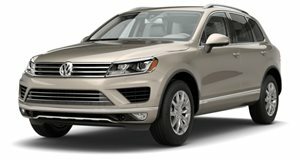 If the board gives the go-ahead, we could see the Touareg CC - based on the platform underpinning the next-gen Touareg as well as the next Audi Q7 and Porsche Cayenne - hitting showrooms around 2015 with a variety of gasoline and diesel engines.